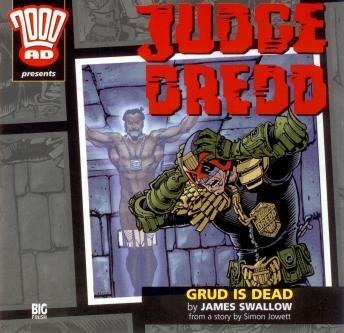 When a chance call to the Justice Department's snitch-line turns up two undercover Vatican Inquisitors and the foremost occult adventurer on earth, Judge Dredd finds himself at the centre of a plot that stretches all the way to the Holy City! Somewhere in the Vatican's ancient catacombs, a ruthless age-old sect have discovered a terrifying secret that threatens the existence of the Church and the future of all creation - and to fulfil their mad schemes, one man must be sacrificed... None other than the debonaire vampire exorcist Devlin Waugh! Alone and isolated, Dredd must face a sacred conspiracy and rescue Devlin before the fate of mankind! Can this unlikely duo challenge the heavens themselves, or will they fall before The Will of Grud?